The Travelon 12770800 are 100% submersible, IPX8 certified waterproof ear buds that allow you to listen to music while in and around water. The Travelon Waterproof Earbuds - Yellow has many exciting features for users of all types. You can extend the lifetime of your Travelon Waterproof Earbuds - Yellow with the purchase of a FactoryOutletStore Factory Protection Plan. See the Travelon Waterproof Earbuds - Yellow gallery images above for more product views. FactoryOutletStore stocks a full line of accessories like Boarding Pass Holder, Eye Mask, and Safe ID Classic Passport Case for the Travelon Waterproof Earbuds - Yellow. 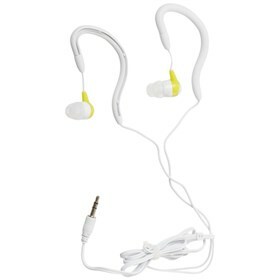 The Travelon Waterproof Earbuds - Yellow is sold as a Brand New Unopened Item.